Demand for Perth Mint bullion products slowed in November, although sales of silver coins continued to run at a much faster than typical pace. November sales of Perth Mint silver coins at 1,145,239 ounces fell 34.6 % from October’s total of 1,751,898 ounces, which dropped 47.7 % from the 3,349,557 ounces in September. Consider, however, that these monthly totals rank first, second and third highest since CoinNews started tracking the Mint’s data in February 2013. Sales last month jumped 34.4% higher than the 851,836 ounces sold in November 2014. As for the year to date through November, silver sales at 10,512,044 ounces surged 48.3% from than the same period last year when they reached 7,089,736 ounces. 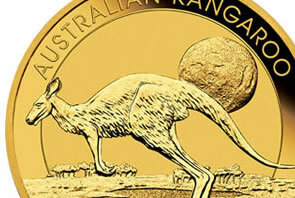 Perth Mint sales of gold coins and gold bars ended at 31,664 ounces last month, sliding 52.7% from the 66,951 ounces delivered in October and dropping 36.6% from the 49,904 ounces sold in the same month a year ago. In the January through November period, gold sales at 415,534 ounces finished 12.8% lower than last year’s first eleventh-month total of 476,498 ounces. Below is a monthly breakdown of Perth Mint bullion sales from November 2014 to November 2015. U.S. Mint coin sales rallied in November. The Mint’s core American Silver Eagles at 4,824,000 coins advanced 27.4% from sales in October and soared 40.8% higher than sales in November 2014. Even as the Mint has rationed Silver Eagle sales for most of 2015 because of planchet shortages, the coins on Nov. 30 broke a new record for a year at 44,666,500. The prior record was established in 2014 at 44,006,000 coins. The Mint’s flagship American Gold Eagles at 97,000 ounces in November jumped 185.3% from the prior month and rallied 61.7% from the same month a year ago. Three of the four Gold Eagle sizes sold out. Year-to-date Gold Eagle sales through November at 801,000 ounces surged 58.1% over the 506,500 ounces ordered through the same period last year.